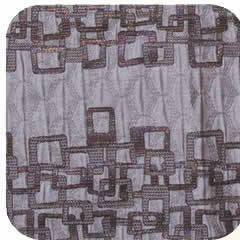 A geometric print in a soft lavender-grey. 60% Polyester 40% Rayon. Dry Clean.